Harley makes Interbrand 100 list... again. But for how long...? Husqvarna Baja Concept - KLR as designed by Spartans? Water cooled Guzzi coming to production? 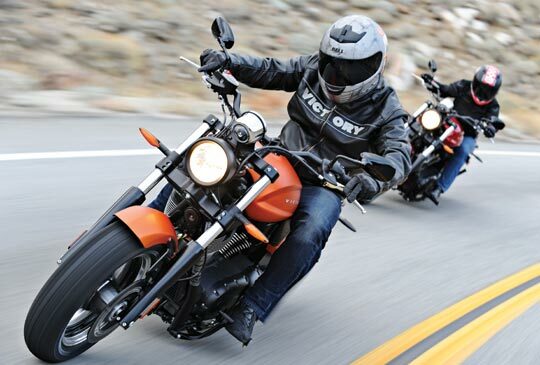 Is Victory building the ugliest motorcycle in the history of motorcycles? Jan 9, 2012: the no-show blues! Sadly, we were simply unable to bring you a show this week. However, when we return next week we should be able to discuss our plans for the IMS in NYC this year, a quick weekend jaunt that Chris took on the bike, plans for the future, and of course, all the fun and excitement James and Chris bring to the motorcycle world already! Stay tuned.